A powerful beam of microwaves could be fired into space to detect hypothetical dark-matter particles called axions. That is the proposal of Pierre Sikivie and Ariel Arza at the University of Florida, who hope to record a faint microwave “echo” from the dark matter thought to exist at higher concentrations in certain regions of the Milky Way. Axions were postulated in the 1970s to overcome a problem with the strong nuclear force, but it was later realized that they could in fact make up much of the universe’s dark matter. Unlike some other dark-matter candidates, axions have unusually well-defined properties including a mass no smaller than about a millionth of an electronvolt (eV) – to make them compatible with the observed abundance of dark matter – and no larger than about 10-3 eV, given that experiments with inferior sensitivities have not discovered them. Physicists have already tried to detect the pairs of photons that axions are predicted to decay into. One of the leading groups is the Axion Dark Matter Experiment (ADMX) at the University of Washington in Seattle. Led by Leslie Rosenberg, it uses an antenna sensitive to microwave photons at the energy of axions with a certain mass. Like ADMX, Sikivie and Arza’s proposal boosts sensitivity to dark matter by using photons at the right frequency to stimulate axion decay. However, while ADMX goes after axions close to the apparatus – using virtual photons generated by a strong magnet surrounding a microwave cavity – the new idea involves directing a powerful beam of microwaves up from the Earth and then detecting the very few photons travelling back along the beam path following the decay of axions in space. The proposal relies on certain assumptions about the type of dark matter “halo” thought to envelop our galaxy. Most astrophysicists assume that the halo is thermal, which means that particles of dark matter drawn in from outside interact with the particles already there, maximizing entropy and yield a halo of uniform temperature. Instead, Sikivie and Arza reckon that the infalling particles interact too slowly to reach thermal equilibrium and generate flows of dark matter with well-defined velocities. In turn, those flows would yield higher density regions of dark matter known as caustic rings. As Sikivie explains, the frequency of the microwave beam would have to be adjusted slightly to account for the Doppler shift of the moving axions. So a smaller spread of axion velocities would increase the detection rate for a beam of a given frequency. The existence of caustic rings, meanwhile, would boost the density of axions in the line of sight, assuming the beam is pointed at the right spot on the sky. Sikivie is confident that his astrophysics is correct, arguing that satellite observations support the idea that Earth is close to one of the Milky Way’s caustic rings – a crucial factor in determining detection sensitivities. He has yet to sketch out his scheme in detail but says one option would be to fire microwaves from perhaps 100 small dishes arranged around a much larger, existing, receiver, such as the Green Bank Telescope in West Virginia or the Lovell Telescope in the UK. As he points out, the Doppler shift comes in handy here as it would in principle mean being able to pick out the echo – at a miniscule 10-21 W – from the vastly more powerful outgoing beam. Sikivie argues that such an experiment could target a much wider range of frequencies, and therefore axion masses, than ADMX. If the axion does exist and does constitute dark matter, he claims, the experiment “would have an excellent chance of finding it”. Sikivie cautions that, unlike ADMX, the new scheme only exists “on paper” and that it remains to be seen how much it would cost. Electricity consumption alone could amount to $100m, he says, assuming that 10 MW-years of energy is needed for every doubling in frequency (at $1 per watt-year). But he says that this estimate is quite sensitive to assumptions about the nature of galactic dark matter and could be as low as $5m. Rosenberg is enthusiastic about the proposal. “I don’t think there’s much question that this is sensible,” he says, regarding the basic principle of axion echo generation. But he considers the astrophysical analysis to be “more speculative”, although still potentially correct. 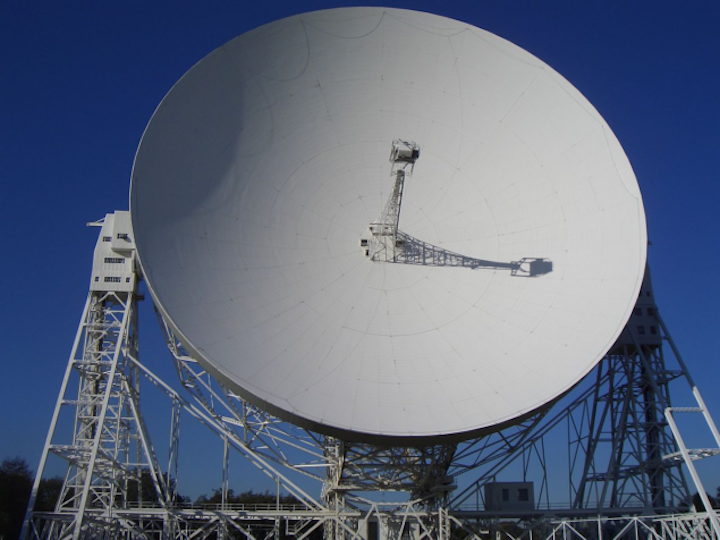 And he argues that neither radar facilities nor astronomical observatories are set up to carry out such a search – the former lacking suitable low-noise receivers while the latter typically don’t fire beams into space. Axel Lindner, who studies dark matter at DESY in Germany, is more upbeat on this point. He says that the new proposal “basically rests on existing technologies”, arguing that it could in fact “be realized rather quickly” if someone sketched out a more concrete plan.